Tap your feet to the beat with the Petersen Family Bluegrass Band for a talented, family-friendly performance, saluting God and country. This wonderfully talented family is in its seventh season of performing in Branson, now performing in the Little Opry Theatre, located in the Branson IMAX Entertainment Complex. 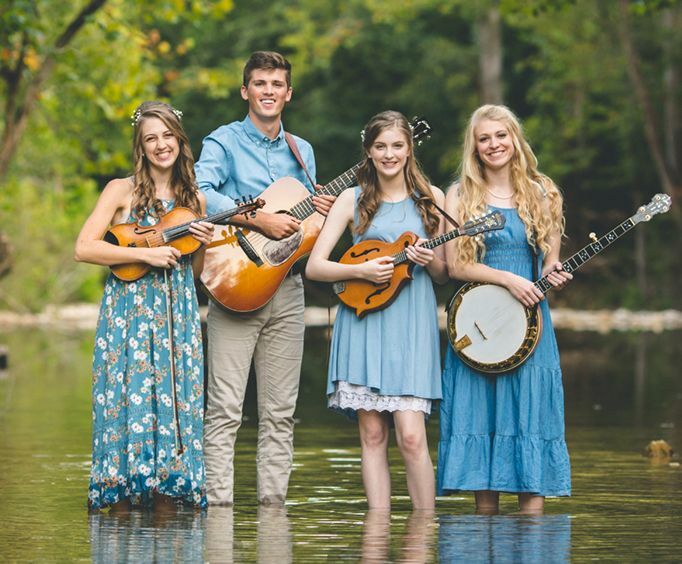 Enjoy this 1.5-hour show, complete with an award-winning family that will showcase their musical talent as they blend their voices and instruments for beautiful harmonies and a first-rate bluegrass sound. The Petersen family of six will perform traditional standards of the bluegrass genre by artists like Bill Monroe, Doyle Lawson, and Rhonda Vincent, and contemporary artists like Alison Krauss and Balsam Range, and they will wow you with their twin fiddle action, gospel a capella, original songs, and stunning yodeling. Join Jon and Karen Petersen and their four talented children, Ellen, Katie, Julianne, and Matthew, for an inspiring, patriotic performance. They work together as a fantastic team but are still able to show off their unique styles and gifts in a fun-filled, family show. Enjoy family entertainment at its best as you watch Katie's aptitude on the fiddle, Ellen's exciting banjo-work, the talents of Matthew and Jon on their rhythm guitars and basses, Julianne's beautiful vocals and fiddle-work, and Karen's mandolin giving the group a complete bluegrass sound. Showing off her beautiful voice, Ellen is a contestant on American Idol's Season 14, where Harry Connick Jr&period; explained that she made him feel proud to be an American. The family joined the Branson stage in 2007 after Jon Petersen retired from the United States Air Force, and they adore Branson for its love of God, country, and acoustic music. 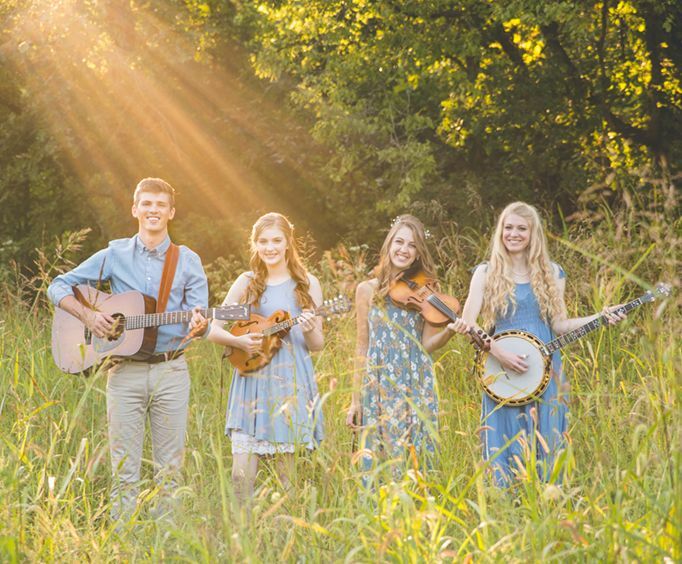 With shows full of faith, family, and fiddle tunes, the Petersens love contributing to the family atmosphere that Branson emanates while they perform a variety of bluegrass and gospel favorites with a patriotic and inspirational harmony. Jon and Karen lead an all-American family show, full of fun and entertaining bluegrass performances for a musical journey. 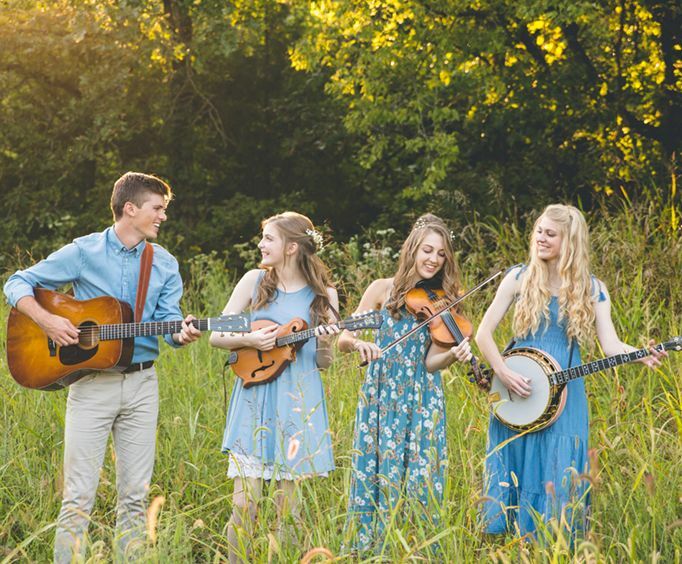 Complete with traditional bluegrass and gospel music, the Petersen Family Bluegrass Band strives to give audiences an exciting, patriotic, and musically talented family show. It was my first time hearing the family band.I enjoyed there music and the girls have beautiful voices and harmonys.I would go see them again if i visit branson again. Love this family! Highly recommend if you want a superb evening with fantastic acoustic music and hilarious jokes and banter. It's amazing they're not more famous. The great talent, the subtle humor of the brother and the engaging expressions and cheerful faces on his sisters made this one of our all-time favorite branson shows....And we've seen many over the past 45 years.